The brain ventricles are four cavities located within the brain that contain cerebral spinal fluid (CSF). There are two lateral ventricles- one on each side of the cerebral cortex. 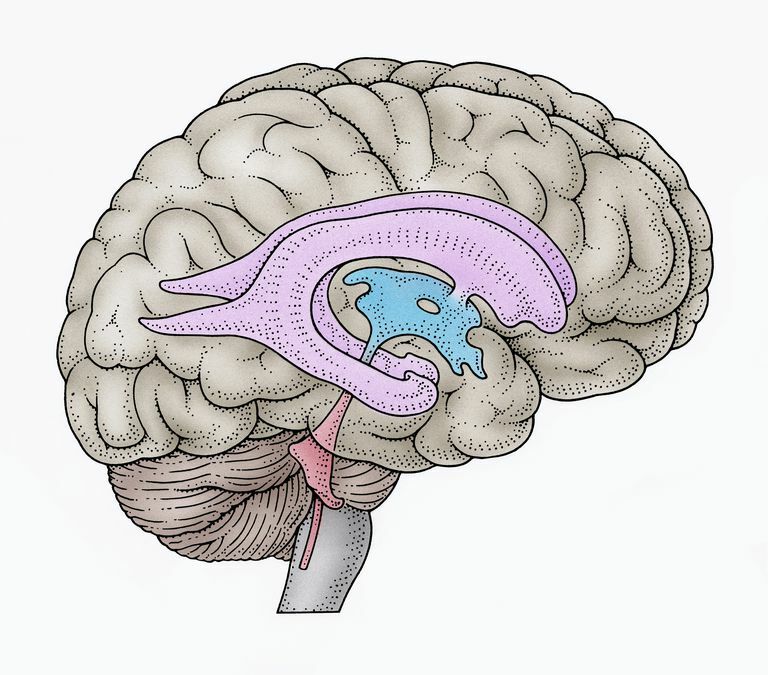 The lateral ventricles are continuous with the third ventricle, which is lower in the brain. The third ventricle is continuous with the fourth ventricle, which runs along the brainstem. The ventricles are all an important part of the “ventricular system.” The ventricles are interconnected with each other, and also with the central canal of the spinal cord and with the subarachnoid space (a space between two of the linings that separate the brain from the skull). CSF is produced by the lining of the ventricles. The CSF then circulates throughout the ventricular system and is eventually reabsorbed in the subarachnoid space. The ventricular system is critically important to the normal functioning of the central nervous system. It protects the brain by allowing it to “float” in a fluid bath and provides a shock absorber against head trauma. The CSF itself also helps to provide nutrients to the brain and to keep the brain in chemical balance. A blockage to the flow of CSF causes the pressure to rise within the ventricular system and can produce hydrocephalus. Infection (such as meningitis) or bleeding can change the characteristics of the CSF. The lumbar puncture (LP), also called the spinal tap, can be used to measure the pressure within in the spinal canal, and to test the CSF for signs of infection, inflammation, or hemorrhage. The LP is often quite important for diagnosing diseases of the central nervous system. For instance, in a subarachnoid hemorrhage, ​the CT scan may be normal, but the LP will reveal blood in the CSF. Beetham R, UK NEQAS for Immunochermistry Working group. Recommendations for CSF analysis in subarachnoid haemorrhage. J Neurol Neurosurg Psychiatry 2004; 75:528. Marton KI, Gean AD. The spinal tap: a new look at an old test. Ann Intern Med 1986; 104:840.